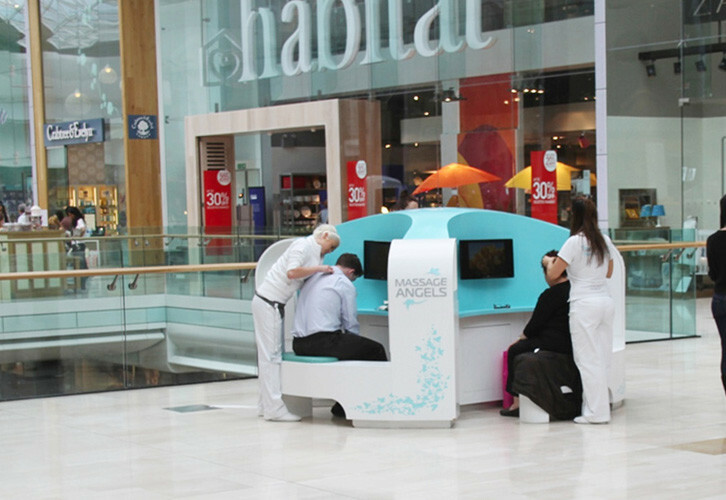 Massage Angels offer a relaxing massage to shoppers at major UK shopping centres. They use space in aisles to court passing shoppers and needed a unit where up to 4 people could work simultaneously in order to maximise revenue within a small space. Working as designers for our client The Creative Element we created 3d visuals, construction drawings and screen content. The business has proved so successful that we have now produced several units to cater for more shoppers and a new 3 person booth for an even smaller footprint.